A young man sprinkling his lawn and bushes with pesticides wanted to check the contents of the barrel to see how much pesticide remained in it. He raised the cover and lit his lighter; the vapors inflamed and engulfed him. He jumped from his truck, screaming. His neighbor came out of her house with a dozen eggs, yelling: "bring me some eggs!" She broke them, separating the whites from the yolks. The neighbor woman helped her to apply the whites on the young man's face. When the ambulance arrived and when the EMTs saw the young man, they asked who had done this. "You have saved his face." Keep in mind this treatment of burns is included in teaching beginner fireman this method. One woman burned a large part of her hand with boiling water. 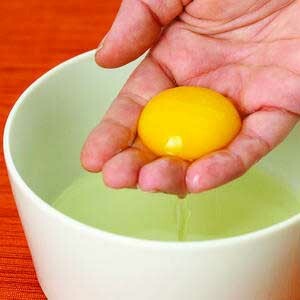 In spite of the pain, she ran cold water on her hand, separated 2 egg white from the yolks, beat them slightly and dipped her hand in the solution. The whites then dried and formed a protective layer. She later learned that the egg white is a natural collagen and continued during at least one hour to apply layer upon layer of beaten egg white. By afternoon she no longer felt any pain and the next day there was hardly a trace of the burn. Ten (10) days later, no trace was left at all and her skin had regained its normal color. 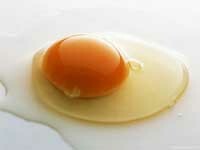 The burned area was totally regenerated thanks to the collagen in the egg whites, a placenta full of vitamins. I hope this information could be helpful to everyone.